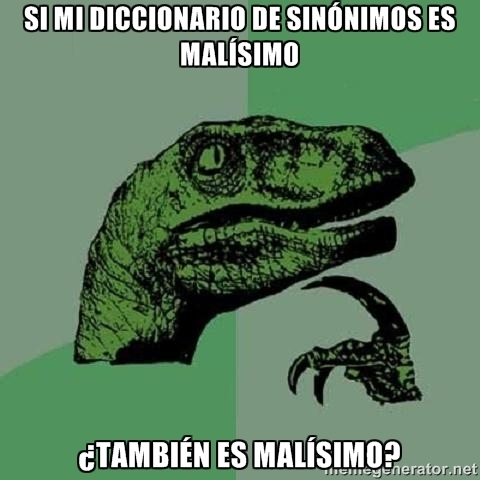 Resulta que un thesaurus no es un tipo de dinosaurio en inglés. "My new thesaurus is terrible. Not only that, but it's also terrible."